The ever-expanding empire of Epic Games now extends to Japan as the company plans to open a satellite office there this week. 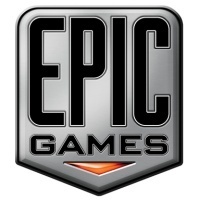 The headquarters of Epic Games is in Cary, North Carolina, but they also have offices in Provo, UT, Warsaw, Poland; Seoul, South Korea; and Shanghai, China. That list will now expand to Japan, as Epic announced today that it will be opening an office in Tokyo on April 15th. The office will offer licensing and technical support for the Unreal 3 engine to developers in Japan. CEO and founder of Epic, Tim Sweeney, will be on hand at the launch and make a statement. Epic employs around 100 people at their office in Cary, but it is unclear how large the Tokyo office will be. We've also been fortunate to share Unreal Engine 3 with some of the biggest developers in Japan, like Capcom, Konami, Square Enix, and Grasshopper Manufacture. So this step seemed natural -- by opening an office in Japan, we can provide on-the-ground support for our Japanese licensees. But all that aside, Capps told us the real reason that his company is opening an office there. "The sushi in Tokyo really is that much better than every place else," he said. "And now I totally have an excuse to visit regularly."